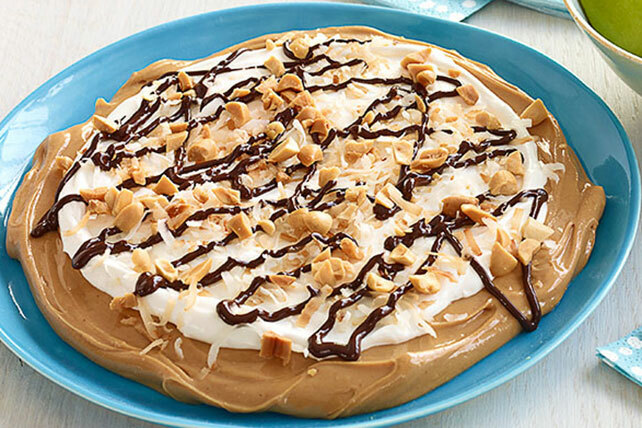 Top PB with marshmallow creme, whipped topping & more for peanut butter dessert dip. Our Layered Peanut Butter Dessert Dip is great for apples or cookies. Spread peanut butter onto 8-inch plate. Mix marshmallow creme and COOL WHIP until blended; spread over peanut butter. Serve with apple slices. Because apples turn brown after they are cut, do not cut them up until just before using. For added color and texture, leave the peels on.